If you’ve been injured at work or are struggling with a social security disability claim, we understand the severity of your situation. We know that the decisions you’ve had to make over the past few months are unimaginably difficult. You’re going through so much, and hiring an attorney? Well, that’s the last thing on your mind. But we also know that everyone has a right to the compensation they deserve. That’s why we started our practice, and it’s how we know that we can help you. Get to know us better by reading more about our attorneys below! George is a Board-Certified specialist in Workers’ Compensation Law and has admitted to practice before the United States Supreme Court as well as the North Carolina Supreme Court, and more. Neal is a Board-Certified specialist who has practiced in North Carolina’s Workers’ Compensation and Social Security Disability Law since 1995, and has admitted to practice in the Supreme Court of North Carolina as well as all State courts and more. 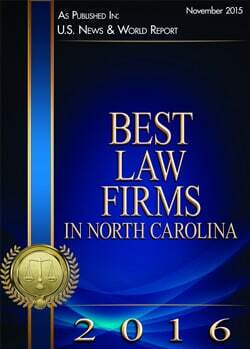 Michael is a Board-Certified specialist who has practiced exclusively in Workers’ Compensation and Social Security Disability Law, and has handled cases at all levels of North Carolina’s appellate courts and more. If you’ve been injured, speak with an attorney today. Contact us today to discuss your case and determine the next steps you should take.